‘The lowest and vilest alleys in London do not present a more dreadful record of sin than does the smiling and beautiful countryside.... Think of the deeds of hellish cruelty, the hidden wickedness which may go on, year in, year out, in such places, and none the wiser.’ Sherlock Holmes Many of the greatest British crime writers have explored the possibilities of crime in the countryside in lively and ingenious short stories. 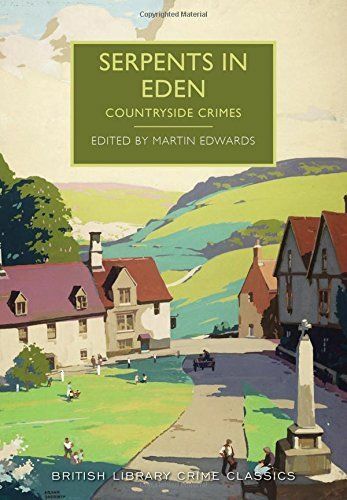 Serpents in Eden celebrates the rural British mystery by bringing together an eclectic mix of crime stories written over half a century. From a tale of poison-pen letters tearing apart a village community to a macabre mystery by Arthur Conan Doyle, the stories collected here reveal the dark truths hidden in an assortment of rural paradises. Among the writers included here are such major figures as G. K. Chesterton and Margery Allingham, along with a host of lesser-known discoveries whose best stories are among the unsung riches of the golden age of British crime fiction between the two world wars.